This is a place where you can find good beer since ages. Piwnica Rajców is a brewery and restaurant located in the heart of Gdańsk's Old Town, in the vaults of historic Artus Court. 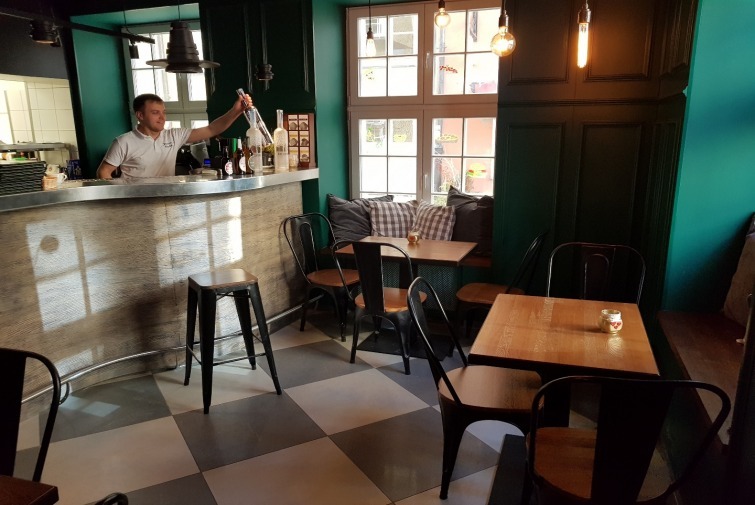 Here you can try tasty cuisine from Gdańsk region or craft beer brewed on site and feel the historic atmosphere of of feasts organized by centuries by wealthy Gdansk merchants and representatives of municipal authorities. In its interior, Piwnica Rajców can receive more guests than the Artus Court itself. In 5 available halls (Gdańsk, Gothic, Club, Herb and Neptune), corporate events, beer feasts, proms, weddings and family parties for over 300 people are organized. Huge projection screens with sports broadcasts makes the Piwnica Rajców a perfect place for world-class football fans.